The federal government should immediately stop guaranteeing loans for green energy projects, say Julian Morris and Victor Nava of the Reason Foundation. 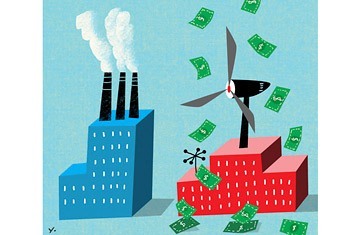 The Department of Energy's 1705 Loan Guarantee Program is a $16 billion program that is responsible for the Solyndra debacle and a number of other failed "green" enterprises. Credit rating agencies rated the majority of projects that were funded through this program as risky and "highly speculative," with 22 of the 26 projects rated as "junk" investments. - Funds were allocated by the Department of Energy in accordance with applicants' lobbying expenditures. - Many recipients of loan guarantees had close ties to the individuals who were in charge of approving the guarantees. 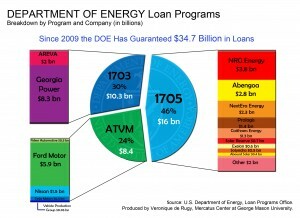 - Senator Harry Reid fought for these green energy loans in the Recovery Act. He received $58,000 in campaign contributions from executives of the companies running the three energy projects in his home state of Nevada that received funds through the program. The solar panel manufacturer was punished in recent years by the industrywide collapse in prices. But now rising demand is boosting the company's sales - and its stock price. Indeed, the past few years have been a dark period for the solar industry. Chinese companies, fueled by government subsidies, created a glut of supply and helped drive down prices some 75%. That may have been good news for customers, but it was a disaster for the companies that manufacture solar panels. Red ink flowed, and major players -- including China's Suntech and Solyndra in the U.S. -- went bankrupt. So why is First Solar optimistic about it's prospects now? For one thing, prices have finally stabilized. The huge surplus in manufacturing capacity is starting to abate. demand is soaring -- for a variety of reasons. China plans to install an ambitious 10 gigawatts of solar capacity this year. 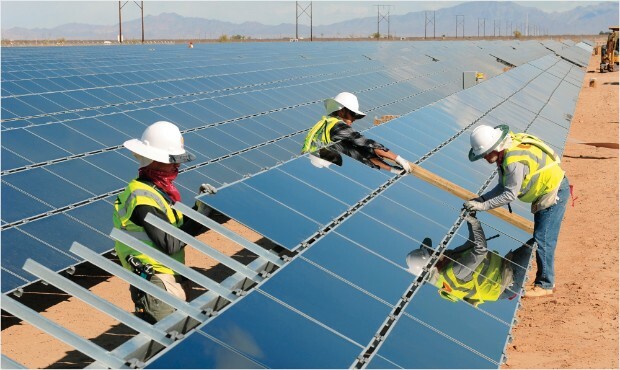 In the U.S. the solar industry grew 76% in 2012 as PV manufacturers installed a total of 3.3 gigawatts of power, or the equivalent of a new nuclear power plant. Generous state subsidies in California and elsewhere have driven sales, as well as the fact that 29 states now have requirements that a certain percentage of power come from renewables. For all the good news, a lot can still go wrong for First Solar. Until someone comes up with a cheap way to store solar power so that it's available 24/7, it will never be considered a mainstream part of any nation's power system. And then there's always the possibility that the company's thin-film technology will become obsolete. U.S. government scientists have demonstrated potentially game-changing silicon cells that achieved a 40% efficiency in the lab. They're extremely expensive, but over time costs could fall. A more immediate threat is that the new demand for solar will dry up. Some big markets such as California have already contracted for about as much solar as they need to meet their renewable-energy targets, so future growth is likely to slow there. And lower natural-gas prices in the U.S. have made it harder for solar to compete on price. Europe -- still the biggest solar market in the world -- is now in the economic doldrums, and nations there are pulling back on subsidies.